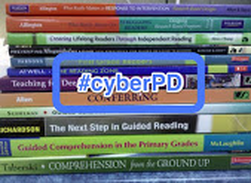 This is week three of #cyberPD, a virtual book study group that I am participating in this July along with other educators. 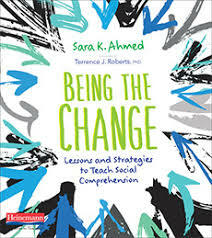 The group is reading Being the Change: Lessons and Strategies to Teach Social Comprehension by Sara K. Ahmed. You can find out more information about #cyberPD here. As I was reading Chapter Five, "Finding Humanity in Ourselves and Others," I was also reading The Red Bandana (Young Readers Adaptation) by Tom Rinaldi. This is a story of an upstander, defined as "people who decide to help or to stand up, no matter the consequence" (p. 106). The book is an account of 9/11, so it's heart-wrenching. It's also the story of Welles Crowther, one of the heroes of that day, who sacrificed his life to save others so there's inspiration in the pages of the book, as well. The books ends with a reminder to readers that we all have choices and we can choose to be one who helps. This book provides young readers with insight into a crisis, a horrific tragedy, that occurred in our world, but it can also spark discussion about courage, self-sacrifice, and how helping makes our world a better place. Sharing literature which illustrates the power of standing up and helping others is essential. Picture books, like Super Manny Stands Up! by Kelly DiPucchio and Be Kind by Pat Zietlow Miller, are must-reads in the classroom because they convey important messages about kindness and compassion that we want our students to take to heart. The conversations we engage students in about ideas related to this literature are important, but Sara offers us ways to deepen the learning about these concepts. Working with students on understanding the idea of having an obligation to others and helping them to recognize who they feel obligated to, seems to dig deeper into the mindsets that result in our decision to help or not help. Our identities and perspectives tie into the choices we make. Exploring our identities and perspectives in relation to our decisions to be kind and empathetic seems a helpful way to support students in developing strong, positive relationships with others. When 9/11 occurred, I was just beginning my career as a teacher. I remember the challenge of addressing students' concerns about this event. There have been many crises in our world since and managing the questions and conversations that students want to have is still a challenge. There is a need to help students process what is happening around them, but also ensure that they are safe. 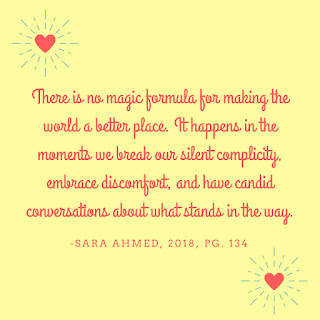 Sara offers great suggestions in the last chapter of the book for responding to the events of our world. Listening, taking the stance of learner alongside students, and sharing the stories of good in the world will help both teachers and students process what the world hands us. 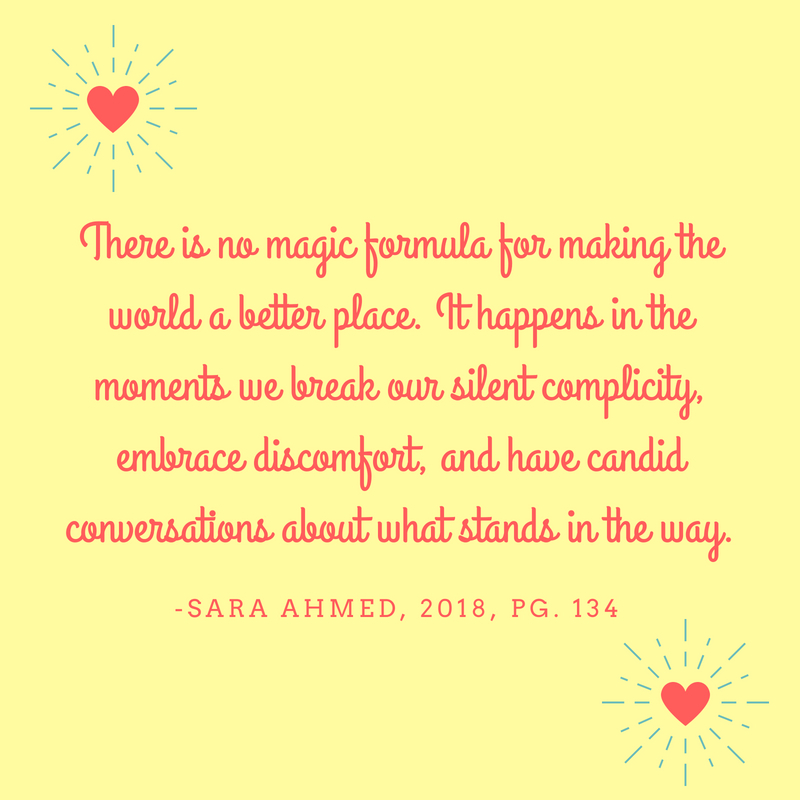 As Sara states on the last page of her book, there is no magic formula for changing the world, but every effort we make to support students in navigating the world with understanding, kindness, and compassion is a step in the right direction. That's a great graphic! I love that quote. "Silent complicity" is something I have thought a lot about. There are times when I am an upstander, and times when I just try to blend in with the crowd. I am a bystander much less often the older I get. I want to give my students the power to be upstanders now, not just when they get into their 40's! I love that we can use great picture books to add these conversations to our classrooms. We had the best conversations in my class this spring after reading "Wishtree" by Katherine Applegate. The book gave me safe examples to bring to my class, without singling out any of my students. I could guide them to make their own connections to the behaviour of characters in the book and their personal behaviour. I would say I have more confidence to not be a bystander as well, now that I am older. It shows how important it is to empower our students to be upstanders when they're young. Wishtree is one of my favorite books!